Originally called the Italian Amusement Park, The 1/5 mile venue was used for Car and Motorcycle racing as well as boxing, The park was situated on the North side of Kearney Boulevard in 1928, near Chandler Airport. By the mid 1930's, the city took over the operation of the Airport and wanted room to expand, So the race track was moved to the South side of Kearney Boulevard. 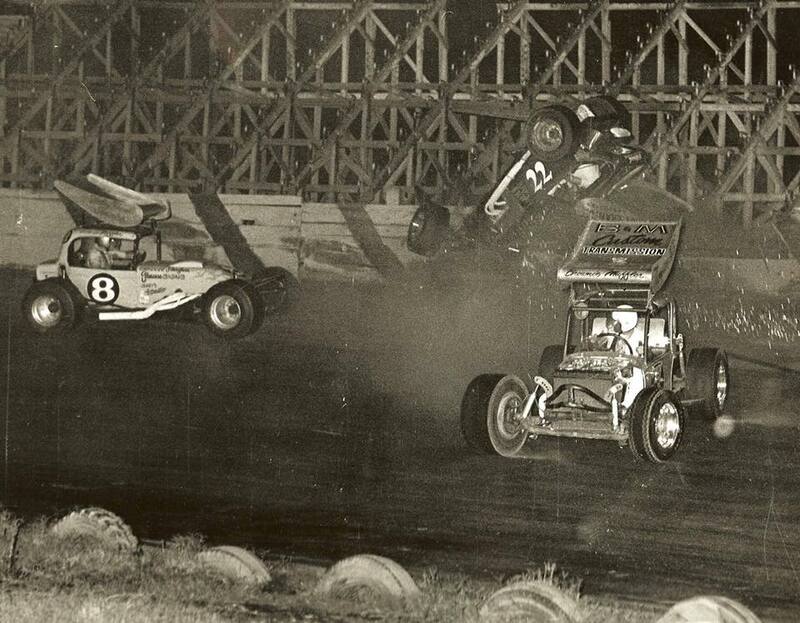 In 1947 the venue was renamed Airport Speedway. In 1956 the venue went through another name change to Fresno Recreation Park. In 1959 the venue was renamed Kearney Bowl and by 1969 the race track was paved. The last race meeting ever held was on the 18th of September 1970 and the demolission began, The area is now housing. Pavement days - Photo: unknown.